It looks like Apple's days of blowing people away with new features and functions has cooled now that solid platforms like Ice Cream Sandwich and Windows Phone exist. 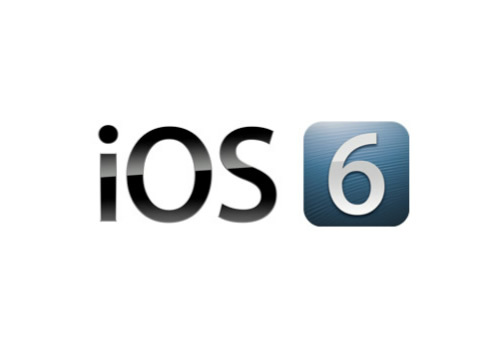 Apple officially announced iOS 6 yesterday and while it is a welcome update for iOS that I look forward to installing on my iPad 3, most everything Apple revealed can already be done today on Ice Cream Sandwich Android devices. Apple does a good job of taking existing technology and features and making it more user friendly (they did it with iOS 5 last year), but ICS took Android a long ways and the experience on the HTC One X is fantastic. Apple stated there are over 200 new features in iOS 6 and we will have to wait until the fall to see everything. Developers will be loading up beta versions soon so we will see some more discussions on features over the next few weeks and months. They did reveal several major features and functions at WWDC, so let's take a look and compare them to what we see with existing Android ICS. You can check out the table below that summarizes the differences, followed by more lengthy discussion and my opinions. Don't forget that Google revealed ICS last year and is likely to show off Jelly Bean this month at Google I/O. Maps: Apple has always included a Maps application, based on Google Maps. As we discussed in May, Apple has decided to finally put some effort into navigation (powered by TomTom) and will be rolling out their own mapping solution in iOS 6. In typical Apple fashion, the application has lots of attractive visuals with good functionality. It is their first attempt so there is still work to be done, but the new Maps does provide for turn-by-turn navigation, traffic monitoring (crowd-sourced like Waze), location-based integration in apps, and some great lock screen capability. There doesn't appear to be any offline navigation support, which is something that Google just recently announced for Android devices. It also appears iOS owners will lose bicycle, pedestrian, and transit functions seen in Google Maps on iOS 5. Google Maps Navigation is a tried and tested service and application that will be tough to beat. Siri: Siri looks to finally be getting some functionality that it should have had at launch, including the ability to launch apps, real-time sports, movie, and restaurant information and integration, and support from auto manufacturers for true eyes-free usage. As a sports fan, I liked the demos at WWDC. Then again, I follow the sports I enjoy most with dedicated apps anyway so it isn't as critical as it was made out to be. These functions are great to see in Siri, but I wonder how many people will use it past the week or two novelty period. I only used Siri on my iPhone 4S for reminders after the novelty wore off and rarely see people talking to their phone so am still not yet sold on the practicality of Siri. Passbook: Passbook looks like it takes the best from multiple 3rd party apps like TripIt, Starbucks, Flixster, and more to provide one location for storing airline info, store reward cards and more. It is not a payment system application, but seems like it could move that way in the future. You can also now finally add attachments from within the email client rather than having to go to the Photos app and then create an email. However, attachment support is still extremely limited due to Apple's closed approach to the file system. You can attach just photos and only one at a time. iOS 6 will also include a VIP mailbox so you can filter people's email that you really want to see. One thing I love about HTC Sense is this same ability to have groups that let you quickly filter your email with the touch of a tab. Again, nothing new or groundbreaking for Android, but nice to see Apple catching up. Facebook: iOS 5 brought some basic Twitter integration to the platform and now we see Apple including some Facebook support. Windows Phone launched with Facebook support and Android is the king of sharing capability with the most extensive support for sharing across a large number of services. Notification center: Like other devices have for years, iOS 6 will now enable you to quickly reply with a text message when a call comes in and you don't want to answer it. There will also be a Do Not Disturb feature that seems very handy. If you do a quick search in the Play Store you can find several of these same type of apps available now for Android devices. I never gave much thought to it, but I might just try a couple of these out and find one for my HTC One X.
FaceTime over 3G: Since the launch of FaceTime on iOS, people have been asking for the ability to use it over a connection other than WiFi. Other developers provided this capability through their apps, Skype, Tango, and others. Apple will be making carriers happy in iOS 6 if people use it a lot with restricted wireless carrier data caps. Again, it's another feature that was expected and good to finally see, but I prefer using Skype since it is able to be used with more people across all platforms. Video stabilization: You will find that iOS 6 helps you reduce shaky videos, something seen on other platforms for some time. Guided Access enhancements that will help those with challenges use iOS devices. iOS 6 is a welcome update for iOS fans. iOS 5 Apple borrowed quite a bit from multiple platforms and improved the user interface elements. It looks like they did the same again, but ICS already has some solid user interface elements for these features and the differentiation isn't as great as it used to be. I find it hilarious that Apple compares the percentage of iPhone owners using the latest OS with Android when there is just a single device released from Apple each year and many released with Android. If there was just one Android phone, then of course everyone would be on ICS. It's a dumb comparison made to slam Android. With Google likely to reveal Jelly Bean later this month at Google I/O I can understand why analysts predict iOS to continue with a fairly flat rate of adoption. Microsoft may also hit it out of the park with Windows Phone 8 and hopefully we see some of what they have coming soon at their June developer conference. I personally find the HTC One X to be a better piece of hardware than the iPhone 4S and with the customizations and useful glanceable widgets I intend to update my new iPad to iOS 6, but skip picking up a new iPhone when they are announced. It depends on how compelling the new iPhone hardware is, but iOS 6 isn't compelling enough itself to sway me from Android or Windows Phone.